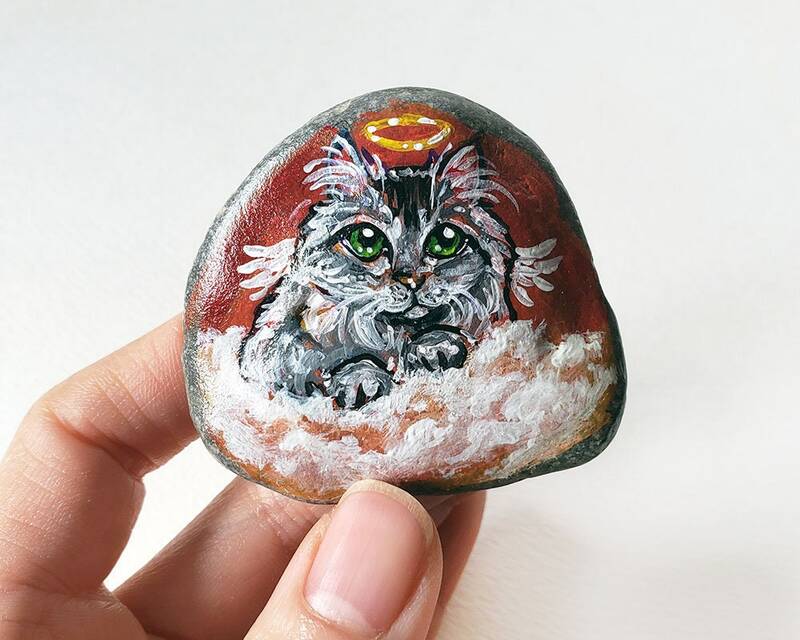 This unique piece of beach stone has been hand painted with a portrait of an adorable little grey and white Siberian cat with beautiful green eyes. 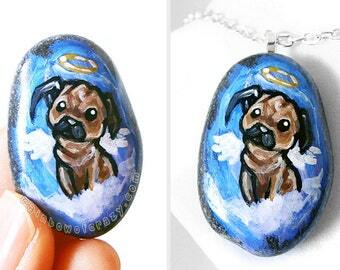 This cute kitty is painted as an angel, complete with wings and halo, and sits on top of some fluffy clouds. The sky is painted with rich reds. 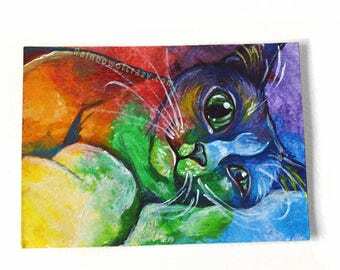 This little piece of art is a perfect gift for any cat owner and makes a great little decoration for that animal lover or nursery. This piece has been carefully painted, leaving the rest of the rock bare in order to showcase the natural beach stone underneath. 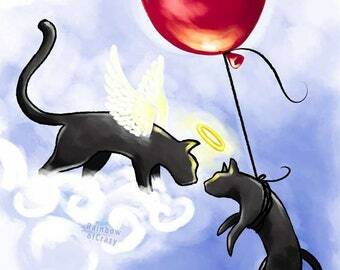 Watermarks in the photos are not on the actual piece. 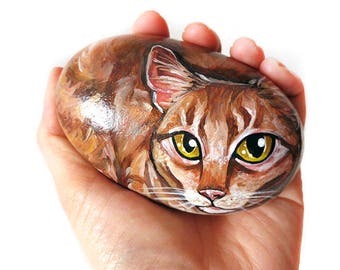 This portrait stone is a hand painted piece of art! It has been painted with acrylic paint on a smooth, flat beach stone measuring approximately 2 1/8" x 2" x 3/8" OR 5.4 cm x 5 cm x 1 cm. The underside of the stone has some neat dips and textures on the underside. 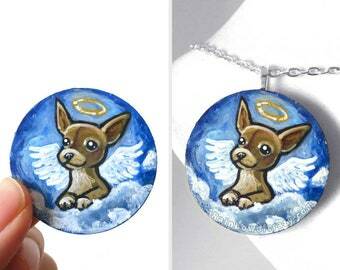 The piece weighs about 1.53 ounces or 43.4 grams. 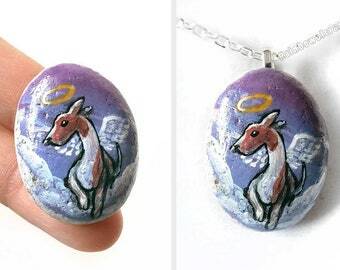 The stone has been sealed several times for protection and a nice shine and has the shop name on the back.